At any given time, most of the guys training in gyms around the country are novices. And by “most” I mean the vast, overwhelming majority. Like 95%. This means you, probably. But it’s not necessarily bad news. Not at all. It’s true, because most people that join a gym quit within a month. You know the type. You see them every time you train, cluttering up the area in front of the dumbbell rack, wandering aimlessly, playing with the weights, watching everybody else train, wishing that getting big and strong were easy. Most of the ones that don’t quit are guys who haven’t been training very long and fully intend to keep at it, but haven’t yet settled into a program that works like they envision a program working – producing rapid gains in size and strength. This may be you. But you might quit too, if you get tired of seeing no results. Since most guys in the gym are big and strong, most are novices. It’s not bad to be a novice. I wish like hell I were a novice again, knowing what I know now. Your novice months, done correctly, will show you the fastest gains in size and strength you’ll ever make in the weight room, quite literally faster than advanced guys using steroids. But done the way most people do it, your first weeks in the gym will merely lead to you joining the ranks of the guys who quit out of frustration and boredom. First, let’s state the Universal Truth of Training, as applied to the weight room: you do not get big and strong by lifting weights; you get big and strong by recovering from lifting weights. Everything else is derived from this simple restatement of the principle of stress and adaptation. Do not forget it. 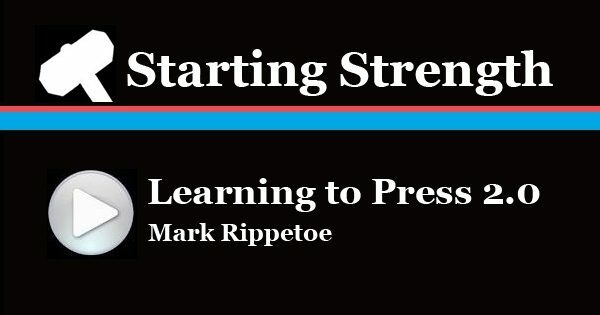 A “novice” lifter is a trainee who is so unadapted to the stress of lifting weights that he can make progress as rapidly as he can stress himself and get recovered, a process that actually takes no more than 48-72 hours. When an 18-year-old guy starts training without a background in exercise, anything harder than what he’s doing now acts as a stimulus for adaptation; riding a bicycle will make his bench press go up. 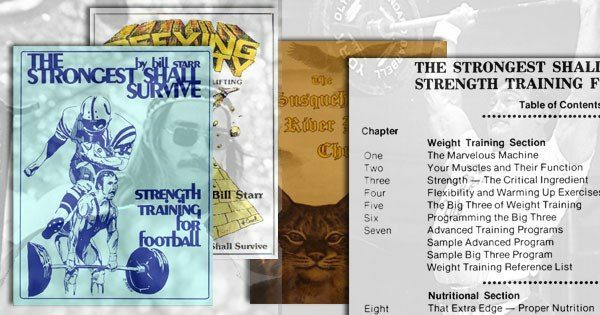 As he accumulates adaptation – moving from completely untrained, to several months into a correctly designed program, to several years into a competitive lifting career – he becomes a different organism, having caused his body to adapt to a long series of accumulated and increasingly difficult stresses. A point is eventually reached where any adaptation at all is a hard-fought battle. 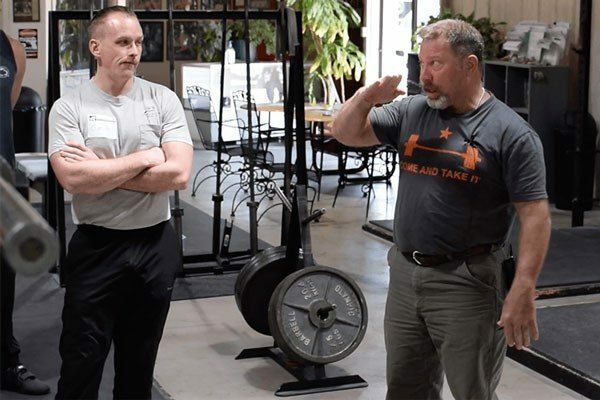 This is where the lifter has closely approached the limits of his potential, dictated by genetic and environmental factors largely beyond his control. 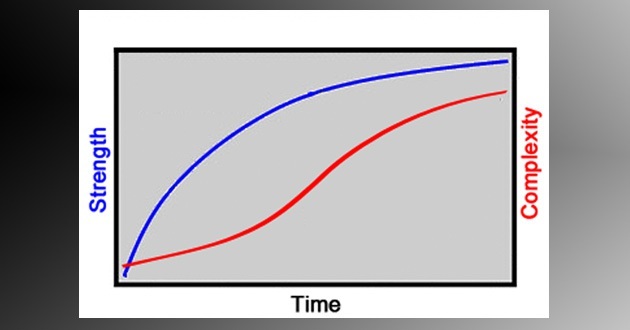 This is a commonly observed phenomenon, the principle of Diminishing Returns, where the first phases of a process are simple/inexpensive/painless and the last phases of the process are complex/costly/difficult. The trend through the middle is as you might expect. Try approaching the speed of light sometime. Training is no different. At first progress comes fast, easy, and cheap. If you do it correctly. The most common way to screw this up is to start at the end, where things are complex, costly, and difficult. How many novices carry this month’s copy of Flex to the gym and do Mr. Olympia’s pre-contest program, the magazine having failed to mention that this doesn’t work? The fact is that the novice/intermediate/advanced continuum is quite real, and intelligently designed programs fit the trainee’s level of adaptation to the intensity, volume, and complexity of exercise. Novices, having no history of adaptation to exercise, can get big and strong very quickly, while advanced trainees, having already gotten big and strong, get bigger and stronger very slowly. Which sounds like the most fun? Which sounds like the progress you’d rather make? Attempting to do a program that doesn’t fit your potential to improve is an excellent way to stay right where you are now. The primary characteristic of effective novice training programs is that they are very simple. Look upon this as a blessing. The later phases of training are most assuredly not simple, so take it while you can get it. The variables of training – exercise selection, workout frequency, volume, and intensity – are all as uncomplicated as they can be made. Exercise selection is the most objectionable feature of the correctly designed novice program – there are only about 7 exercises you need to do for several months, and this seems to piss people off pretty bad. After all, why do we know all these exercises and why do we have all these machines in the gym if we’re not going to use the damn things? In keeping with our pledge to simplicity, we are going to squat, bench press, deadlift, press (you may call it the “overhead press” if you like, but don’t call it the “shoulder press” unless you also plan on using the term “leg squat”), power clean, and chins. Since you’re going to do some barbell curls even if I tell you that you won’t need them, we might as well count that too. But that’s all. The variable we manipulate for effective barbell training is not the number of exercises – it’s the load. Increasing your strength by increasing the load is what makes you strong, and the process of getting strong enough to need to grow is what makes you big. Doing the same load in more different and varied ways doesn’t make you change at all, as you may have noticed. These basic exercises work the entire body under a constantly increasing load, and combined the way I’ll show you they produce a stress on the whole system, not just its constituent parts. Programs that use 12-15 different single-joint isolation exercises never work for novices, as you also may have noticed, because single joint exercises do not load the whole system like the squat, press, and deadlift do. They fail to elicit a sufficient hormonal response to cause the system-wide change getting big and strong requires. They also do not involve normal human movements like squatting down, picking things up, and shoving things up over your head, so they don’t use the body in ways it normally functions. Training frequency for an effective novice program is based on the rate at which a novice recovers from a workout. A novice is, by definition, not very strong relative to his ultimate potential, so he’s not really capable of inflicting enough training stress in a sane workout to prevent his recovery in a short period of time. This time frame is, conveniently, 48-72 hours, making a 3-day/week program just about perfect for the novice trainee. Monday/Wednesday/Friday is traditional, but suit your own schedule. More frequency has proven to be too much training and not enough recovery, while less frequency is not enough to make the best use of your potential to get big and strong as fast as possible. The idea is to train, rest 48 hours, train again, rest 48 hours, and train again, this time resting 72 hours so that any residual lack of recovery is dealt with during the extra day. The only room for argument is what constitutes a “sane” workout in terms of volume and intensity. Thankfully, I know. 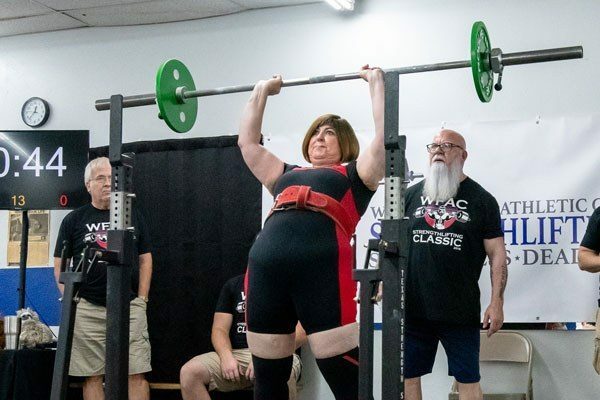 I’ve been doing this for 35 years, and over that period of time I’ve taught many thousands of people how to do these lifts, and watched many hundreds of them actually do the program I gave them. There are various forms of this program in print, but they all are basically the same. It is simple, short, and composed entirely of basic barbell and multi-joint exercises. The one that I’ll present here alternates two workouts, A and B, every other training day, so that one week is A-B-A and the next week is B-A-B. Workout A is: the squat done for 3 sets of 5 reps across (the same weight done for multiple sets) always after the warmup, the press for 3 sets of 5 across, the deadlift for one heavy set of 5, and 3 sets of chinups to failure each set with 5 minutes rest between the sets. The deadlift uses only ONE heavy set. ONE. Really. Sets-across deadlifts do not work, because for the deadlift more is not better. Trust me on this. Workout B is: Squat 3 sets of 5 across again, bench press 3 sets of 5 across, and power clean 5 sets of 3 across. Cleans are not hard to recover from like deadlifts, and triples are done instead of fives so that accumulating fatigue does not interfere with good technique. Power cleans are in the program because they help the deadlift, they develop your power for sports, and if you’re going to be a lifter the weight of tradition compels you to learn the movement. Rows are not a substitute, and power cleans are not hard to learn, so make up your mind to learn them even if you think it will be hard. You need to get used to doing hard stuff anyway. Good for the soul. And if you decide you just have to do barbell curls, do them today, heavy, for 3 sets of 10. But I’d rather you wait at least a couple of months; your arms will grow a lot from the chins and deadlifts without doing a single curl, and they may interfere with recovery. Here is the most important concept: every time you train – every single workout until this is no longer possible – you go up in weight on every exercise. The first time you do the exercises, start with an empty bar doing sets of 5, and go up in small jumps. When you reach a weight that feels heavy, but not so heavy that your form has changed, stay there and do two more sets. The next workout, go up to a weight that is a little heavier than your previous work sets. As a general rule, the smaller the muscle groups that limit the exercise, the smaller the jumps between workouts. Squats tend to jump 10 pounds between workouts for the first two weeks, and then increase 5 pounds per workout. Presses and bench presses jump 5 pounds at first and then slow to 2-3 pound jumps, making small plates necessary equipment for the logical novice. Deadlifts start out stronger than squats – sometimes much stronger, due to the higher start position and shorter range of motion, and they tend to get stronger faster at first, so use 15 pound jumps. Deadlifts are done every other workout, so they are done with half the frequency of the squat, which causes the squat to eventually catch up with the deadlift, but it will be quite a while before this happens. Power cleans respond like the bench and the press, so use 5 pound jumps. Just remember: do only the basic exercises for the first few months, and go up on every exercise every workout for as long as you can. At the same time, be sure that you’re not getting greedy with too much weight, because you will get stuck this way. If you get stuck, you’ll have to get unstuck to make more progress. It’s far better to make slow, steady increases in all your lifts for months than it is to make fast, unsustainable increases for weeks; do the math and you’ll see the point. There will be plenty of time later for more exercises and more elaborate programming, but as long as simple works, complex is neither necessary nor desirable. Since recovery is the key, you have to eat and sleep. Most people who do this program wrong don’t eat and sleep enough. And again, by “most” I mean the vast, overwhelming majority. Like 95%. 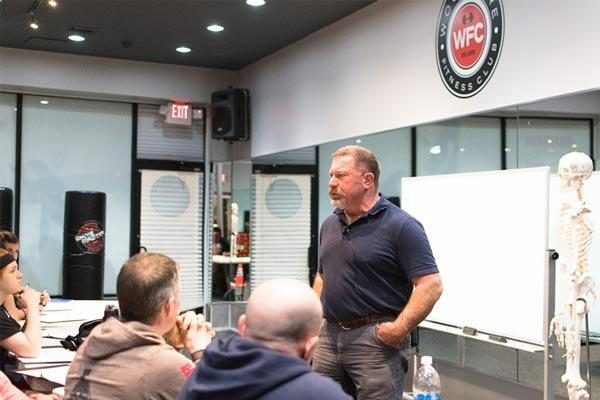 This period of growth cannot occur unless you create both the stress of heavy progressive barbell training and an environment in which recovery can take place. This will require enough calories, protein, and essential nutrients to take care of your basal metabolic requirements, the caloric demands of your daily activities (including your training), and the caloric requirements of the construction of the new tissues you plan to grow. Sleep is when your hormones respond to the stress of training by getting released and working their repair shift. Six hours is not enough, and eight may not be enough either. The caloric and protein requirements of growth remain an underappreciated factor, and may constitute 1500-2000 calories over the other two components of your metabolic baseline. This may add up to 6000 calories per day. I have found that for severely underweight young men, a gallon of whole milk per day fits the program quite nicely. It is convenient, doesn’t need cooking, is available essentially everywhere in the developed world, and works better than anything else I have ever used. But like anything else that works well that most people won’t do, it’s hard to eat this much. Not every trainee needs to drink a gallon of milk a day; older guys, or guys already carrying a higher bodyfat percentage will probably not want that many extra calories. A whey protein supplement and some vitamins might be sufficient for the needs of guys like this. But the average 18 year-old 5’11” kid weighing 155 will respond better to this training program, four good meals, and a gallon of milk a day than he will to any other program I know of. Yes, better than steroids. How much better? How about 25-50 pounds of bodyweight in 3-4 months, 60% of which is muscle? 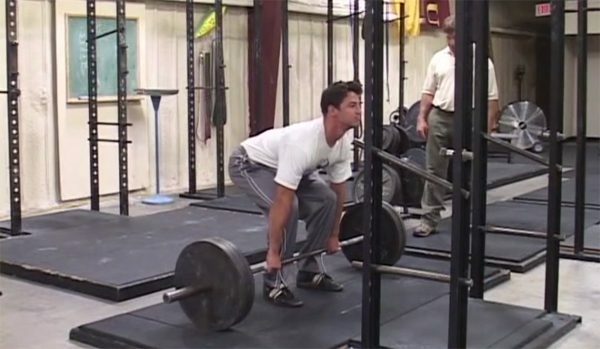 How about more than doubling your squat and deadlift? You will be accused of taking steroids, I promise. The catch is this: you have to be willing to get big at the expense of visible abs, because they will fade. You have to realize that rapid lean body mass growth is always accompanied by a bodyfat increase. And you have to understand that a man always looks and performs better at 5’11” weighing 205 than 155. This may be more than you can accept, and I understand why. Modern physique culture is focused on visible abs and low bodyfat, and you may not be able to wrap your mind around the concept of the process by which a big advanced man is built. Or you may be spending an inordinate amount of time with your shirt off. Listen to reason here: fat comes off much easier than muscle goes on, and I’ll bet you already know how to diet your bodyfat down when this becomes necessary. But getting really big and strong is something that most guys never accomplish. So this is the key to taking advantage of being a novice. Your body can adapt quickly if you ask it to. Give it a reason to need to be bigger by training a little heavier each time, and give it the ability to grow by providing it the means to recover. Do so, and you will get big and strong very quickly. Fail to take advantage of this and you’ll be just another frustrated gym member.